Archmere junior Sophia Liston has been awarded a National Security Language Initiative for Youth (NSLI-Y) scholarship for 2018-19 by the U.S. State Department's Bureau of Educational and Cultural Affairs. Sophia will study Chinese in Taiwan for the Summer. 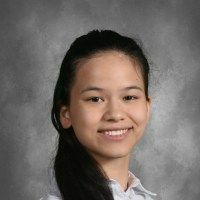 Sophia, competitively selected out of over 3,300 applications from across the United States, is one of approximately 670 students who will study Arabic, Chinese, Hindi, Korean, Persian, Indonesian or Russian overseas this coming year. While in Taiwan, Sophia will receive formal language instruction, live with a host family and experience the local culture as part of an immersion environment.